Genteel LLC neither makes nor markets lancets; however, the company does manufacture and sell a vacuum-assisted lancet holder (poker), so it is in the company’s best interest for its customers to use the best possible lancet. Genteel undertook this study so its customers would have a better lancing experience; however, because Genteel uses regular square shaft lancets, it follows that what makes a lancet optimum with Genteel will, in almost every case, ensure it also works best regardless of which poker a person chooses. It is Genteel’s hope that use of a better lancet, which will lower pain and increase blood draw consistency, will encourage users to test more often, because the proper lancet will significantly decrease the discomfort and pain. At Genteel’s laboratory, we performed a “Consumer Report” type study on many brands and models of lancets, commonly referred to as “square shaft.” These are the most popular individual lancets, found worldwide(see Figure 2). If the shaft is viewed horizontally, as an arrow would fly, the base would appear to be square, with no flanges or rings. Genteel purchased and tested thousands of these, and after examination, found the need for considerably more reliable engineering and production quality control to make a really good lancet. There was sufficient difference found between brands and models such that the user could have a noticeably improved lancing experience just by changing to a better brand and model. While this study was undertaken on square shafts lancets, the knowledge gained could apply to many other types. When all the factors in lancet rating were taken into account, a rating for each brand and model was assigned a scale of 0 to 10, where 10 was the best quality, leading to the least painful, most consistent blood draw. The 12 factors Genteel LLC used to evaluate all the lancets are shown below. 1. Consistency in needle protrusion is controlled relative to the plastic mounting for that brand and model. For each brand and model, all lancets are out of the same box (see Figure 2). 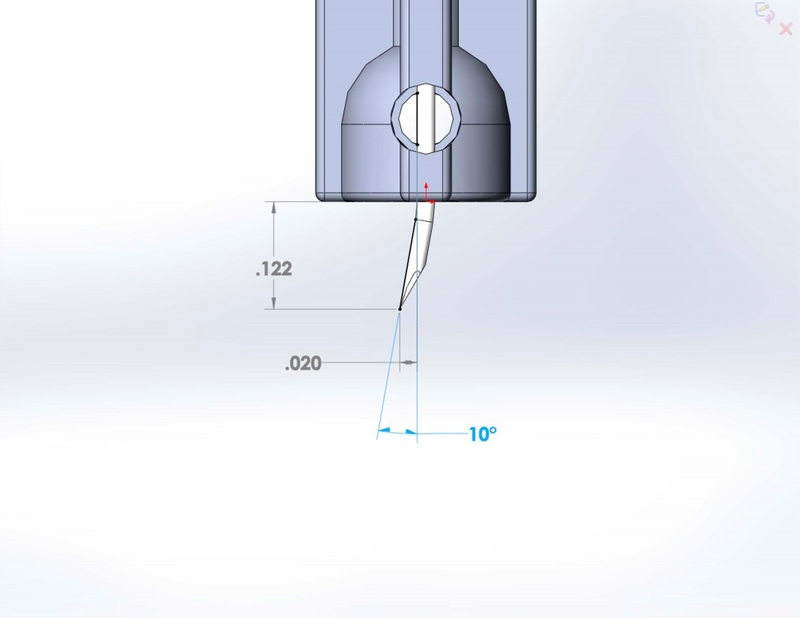 Needle protrusion from the plastic base is specified as 3 millimeters (0.125”) for most lancets. High marks were given for consistency, or how little the variation in needle length ranges over a sample set of lancets, particularly out of the same box. Many lancet holders set the lancing depth; that is, the number the clicker is set to by the user. For each number the forward motion of the plastic base of the lancet is set at a different distance from the skin.The higher the number, the closer to the skin, hence the deeper the lancing. If one lancet, particularly out of the same box, is, for example, 0.012” (10%) longer than another, this longer lancet would penetrate deeper into the skin, at the same dial setting. This variation in penetration depth will affect how much blood is drawn and the discomfort level. Genteel labs have found that a difference of as small as 0.012” in needle protrusion is the equivalent of 3-4 difference in a poker depth setting. This explains why, even when using lancets from the same box, no blood is drawn one time, then, in subsequent draws,even when the depth control number is on the same setting, it draws lots of blood and there is pain. 2. Consistency in lancet overall length for that brand and model, in general, and in particular, out of the same box of lancets (see Figure 2). Overall lancet length is specified as 26mm (1.025”) for most. High marks were given for length consistency over a sample set of lancets, particularly out of the same box. Lancets are designed to be inserted all the way into their respective device holders until the bottom of the lancet, i.e., the non-needle end, reaches the stopping support. If the overall length of a lancet is, for example, 0.020” longer than a shorter lancet, it will travel 0.020” less distance before hitting the forward motion stop, as described in 1) above. Less forward travel with a longer lancet implies that the lancet will have that much less speed and momentum at impact, possibly leading to less penetration with a longer lancet than a shorter one. This variation in momentum can lead to inconsistent blood draw. 3. How straight the lancet needles extend out of the plastic base (see Figure 3). Needles are specified to come straight out of their plastic bases. Higher marks will be given to the less off-angle bend, i.e., the needle extends straighter from the length of the lancet plastic base. Figure 3: Proportioned drawing of needle bent right out of the box. Most lancet holders, including Genteel, drive their lancet bases forward on a straight track or rail. Therefore, the larger the off-angle at which the lancet needle protrudes from its base, the more off angle the needle will go into the skin with a slashing rather than poking motion. The slashing is caused by the needle as it starts to penetrate the harder, drier outer layer of the skin. This drier layer bends the needle back, like a diver’s bounce on a diving board. Once the needle get through this dry outer layer into the soft inner skin tissue, the needle’s springiness causes it to slash back toward straight. This slashing action has two serious disadvantages. First, it makes a bigger than necessary hole in the skin. In fact, only a 10° off angle bend, barely visible to the naked eye, can make a hole twice as large as that same lancet if the needle came out straight. Second, the slashing action makes the walls of the lanced hole porous, so that blood can leak out sideways, especially if the lance site is squeezed, which, in turn, leads to bruising. 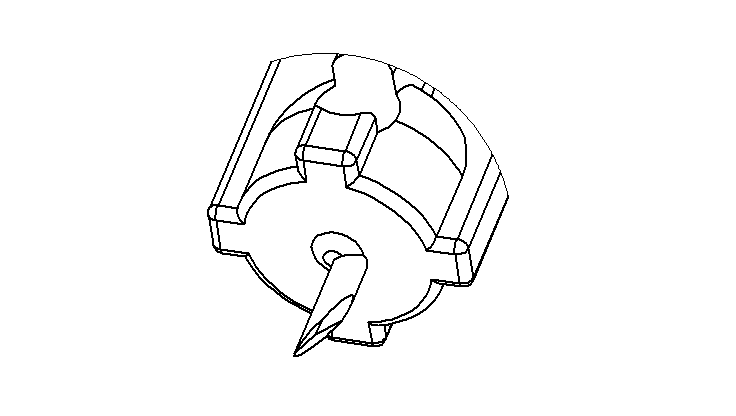 In the process of removing the safety cap from the lancet, it is possible for the user to inadvertently pull the cap off at an angle, which, in turn, could bend the needle to an angle. The effect of a bent needle is discussed in 3) above. The better quality the needle, the more ridged it is, and the less likely it will bend. When a safety cap is pulled off the lancet, the user must be careful to pull it off straight. If attention is not paid, there is a likelihood the safety cap will be removed at an angle, leaving the needle bent, and with all the problems described above and below. If one is paying attention, the task is not difficult. At Genteel’s labs, there would sometimes be unexplained pain and bruising to subjects testing themselves. 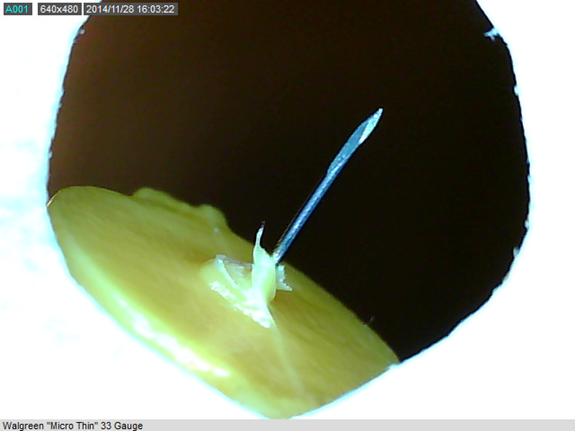 After checking the lancet under a microscope, it was found that the needle had been bent during safety cap removal. As soon as the users were alerted about being careful during safety cap removal, these issues ceased. To some extent, every user will pull a safety cap off at some degree of an angle. The more ridged needles will spring back to straight. Poorer quality, more fragile lancets will leave the needle bent. The disadvantages of a bent needle are described in 3), above. 5. Design of the needle point. The shape of the needle point determines how effective and painful a lancet can be. Unfortunately, the process to grind a better lancet needle tip is more difficult and time consuming than just to make the needle come to a sharp point. There are three different configurations of lancet tips. See Figure 3 for a comparison. While each has the ability to get a sample of blood, the trauma to the capillary system can vary quite significantly. Figure 5-A shows a point that has a somewhat rounded tip, called the “Oval Point.”It gets high ratings because the needle can reach the capillaries without having to penetrate too deeply and stimulate the nerves. Figure 5-B is a more pointed tip. This tip will be called the “Sharp Point”. It gets medium ratings because its point can reach deeper than the capillaries to cause enough blood to get sampled. 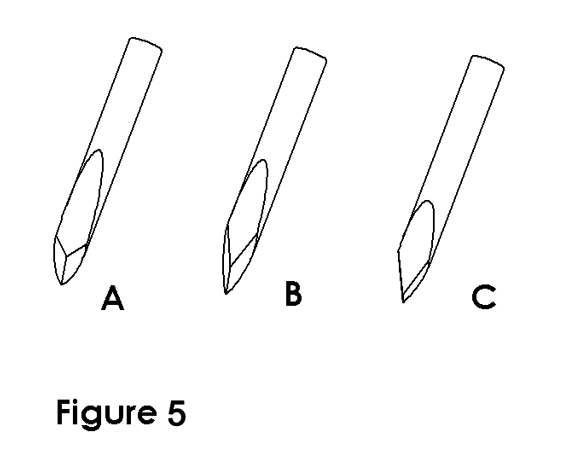 Figure 5-C shows a more aggressive tip, and will be called the “Chisel Point.” It gets a low rating because the three cuts that each facet makes are less likely to allow the capillaries to come back together, just as they were before the sampling, causing bruising and scaring that can last longer. Perhaps the most counter-intuitive result of Genteel’s research is that a sharper angled needle edge is not necessarily better. While it goes into the capillary system more easily, there is a “just right” sharpness and angle at which the needle point should be ground and polished. When a lancet’s edges are too sharp, or angled too steeply, the needle will cleanly cut the walls of the capillaries, preventing them from healing quickly. The ideal angle just parts the walls of the capillaries by pushing them apart. Then, when the lancet withdraws, the walls are more torn than cut, and grow back quickly because with the zig-zag of a tear, there is more joining interface. The process of grinding the right facets and points on a needle leaves microscopic metal flakes lightly stuck to the cutting edge. The flakes that are stuck to the edge are removed through a chemical process, called “Electro-Polishing. In a top quality lancet, the Electro-Polishing has two functions. The first is to appropriately dull, by just the right amount, any excessively sharp edges left from the grinding process. The second is to remove the flakes. The benefit of “just right” edge sharpness was explained in 5, above. Too much polishing leads to an excessively dull cutting edge that could crush capillaries, while too little may leave some flakes that could be injected into the users skin, i.e., tattooing, at the sampling site. The flakes lightly attached to the needle can cause it to go into the skin with the flakes attached, but the skin rubs them off inside and under the surface. High marks will be given for clean,properly sharp edges that do not have burrs or flakes. Medium marks will be given for edges that are razor sharp, as they cause openings that take a long time to heal. Low marks will be given for metal flakes or tips that can be easily broken off under the skin during use. Needle coating is a mixed blessing. The bad news is that if it is not done correctly, parts of the coating will detach from the needle and be left in and under the user’s skin. Correctly applying the coating implies that the coating will very tightly adhere to the needle. On the other hand, without a coating, no matter how much Electro-Polishing is performed on a needle, the surface can never be made as smooth and shiny as with electroplating(see Figure 6). One could polish stainless steel as much as desired, but it will not look as good, or be as smooth as if it was chrome plated. The best coatings, applied by electroplating, are of a chrome composition. Lower quality lancets use a silicone coating, but silicone is better than the no coatings, found with some really poorly made lancets. As explained in 5, above, with edge sharpness there is a just right level. This is definitely not the case with needle smoothness. The smoother, the better, for the needle surface. Any roughness leads to two disadvantages. First, the roughness has lots of friction, so it makes it harder for the needle to penetrate. The harder penetration not only slows down the needle, but also drags parts of the skin in with it. Second, a rough surface acts as sandpaper, roughing up the lance hole walls. This slows the healing process and allows blood to escape out of the hole, which can lead to post-lancing irritation. The needle can exit its plastic base with perfectly straight alignment, but still be off center (see Figure 7). Think of the lancet as an arrow, where the tip of it is pointing in the same direction as the shaft, but off center from the shaft in a zig-zag pattern. The equivalent with the lancet is the tip is the needle, while the shaft is the plastic base. When the tip hits and slows down, the shaft will want to go at the same speed, and try to tilt sideways. In the lancing process, this leads to a heavy sideways back and forth motion as the needle penetrates inward. 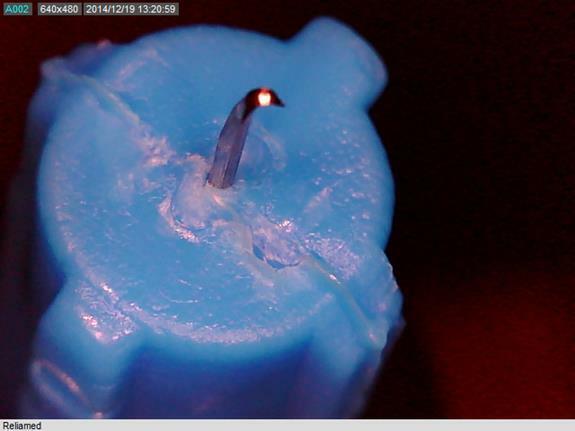 Even Genteel’s power channeling control Nozzle can’t completely stop this if the needle is far enough off center, as can occur with some of the lancets we tested, which were manufactured in China. Sideways motion of an inward moving needle flexes the skin back and forth, which leads to two disadvantages. First, this motion is not the same as normal vibration. This motion leads to more pain, not less. Second, flexing the skin tissue in this manner traumatizes it, leading to post-lancing irritation, and if the lancet needle is sufficiently off center, it can lead to bruising. If the lancet is thought of as a hotdog on a bun, where the needle is the hotdog, and the plastic is the bun, it can be assumed that the two halves of the bun (plastics) would be even with one another, but in poorly made lancets, they are not. One half of the plastic is up closer to the needle tip than the other, leading to the base as a step rather than a nice flat plane. Plastic base misalignment, like the needle coming out off-center, leads to side to side motion with all its disadvantages explained in 8), above. In addition, the step in the base can significantly affect how deeply the lancet goes into the skin, because, as explained in 1), above, many pokers stop the lancet’s forward motion by putting a stop in the way of the plastic base. 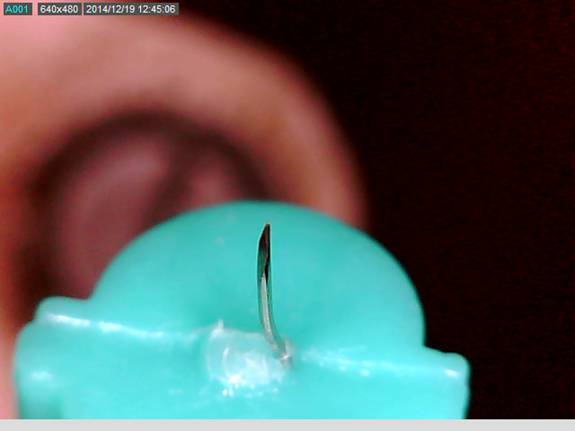 If the plastic hits this stop on the side, where the plastic is closer to the needle tip, penetration will be significantly more shallow than if the stop hits the plastic on the side where it is further from the needle tip. On some pokers, the lancet is somewhat free to rotate within its holder. This would lead to a really big poke-to-poke variation in penetration depth with each lancing. On good lancets, the plastic comes out of the mold smoothly, with no little hairs, flakes, or fragments attached. On poor quality lancets, these imperfections can come off from anywhere on the base. Flakes or fragments can fall off and get caught within the skin. For people with metal allergies, the flake that gets lodged under the skin can cause irritation and prolong healing time. In one sense, they flake off and tend to get in the way of the poker’s mechanism as grime. Because these particles are a little sticky, they stay on the device and their effect builds up with time, especially if the user isn’t in the habit of periodically cleaning his or her equipment. Also, these surface imperfections add velocity eating friction to the lancet’s forward travel, especially as the lancet is about to enter the skin. This is because, as the lancet rubs against the walls of the poker, the friction slows down the travel rate. Slower poking means more pain, even at the same depth of penetration. There are internationally recognized standard correlations between a wire gauge number, say a 30 gauge needle, and the diameter of that wire. With better lancets, their stated gauge matches very closely with their actual needle diameter, whereas with poorer quality lancets, the actual needle size can be as much as four gauge sizes different from their stated gauge. With poorer lancets, it is almost as if they found some wire lying around, made some lancets, then labeled their boxes with whatever size they had an order for, or thought was in demand. 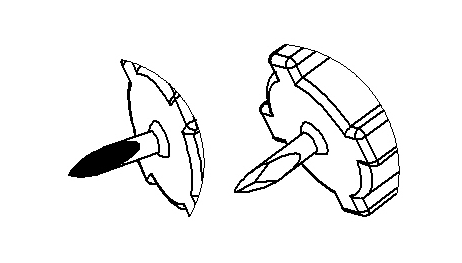 Figure 11: Clear drawing showing how different manufacturers have different diameter needles, even though they all are marked 31 gauge on their respective boxes. If it is determined that, say, a 31 gauge lancet works best for a user, it is recommended that the user purchase a lancet to match that determined ideal. There are two common reasons why users don’t change lancets as often as they should. The first is to save money. The second is convenience. Surprisingly, Genteel labs have found there to be as much as a 5 to 1 difference between how long a better quality lancet will last compared to one of poorer quality. Also, even though a better lancet will eventually get dull, the ones Genteel rated highest never got misshapen or misaligned, continued to penetrate straightly, but simply lost their properly sharp edges. NOTE: LANCET QUALITY AND AVAILABILITY ARE CONSTANTLY CHANGING. FOR EXAMPLE, JOHNSON & JOHNSON RECENTLY ANNOUNCED THAT THEY ARE DISCONTINUING THEIR LIFE SCAN FINE POINT LANCETS, AND WILL NO LONGER BE AVAILABLE. Paying a higher price for a lancet does not necessarily lead to one of better quality. While there is about a 3:1 difference in price between brands and models, there is over 12:1 difference in quality on Genteel’s 0 to 10 scale (0.8 vs 9.6). Genteel’s conclusion is that lancets manufactured in Japan and the United States are usually, but not always, of higher quality than those made in China. However, it was discouraging to realize that because many brand name marketers of lancets buy their different models from various manufacturers, even within the same brand, different models can be radically different in quality ratings by as much as six points on a 0 to 10 scale. It is well worth it to carefully look at the lancet box. If there is limited information or specification available, one can probably assume the worst. Bending, needle: Bending is defined as once the lateral force is removed, the lancet does not return to straight, i.e., the needle’s module of electricity has been exceeded. Lancet base: The plastic part of the lancet that is inserted into and held by the lancing device. Lancing device (see lancet holder): As opposed to the lancet, this is the mechanism into which the lancet is inserted, and which drives the lancet into the skin upon activation. Safety Cap: the plastic cap which covers the lancing needle and is installed by the lancet manufacturer on each lancet. This cap is removed prior to lancet usage. (1) “General” brand model #147. (4) Standard type, such as, but not limited to, “Edmond Scientific” model #110. I don’t use Genteel either and am looking to donate it. There are no contact tips that can pierce my fingers. And my doctor sees no value in alternate site testing. Excellent report by Genteel – this could explain why I don’t use my Genteel? Great information David, thanks for letting us know about its availability! 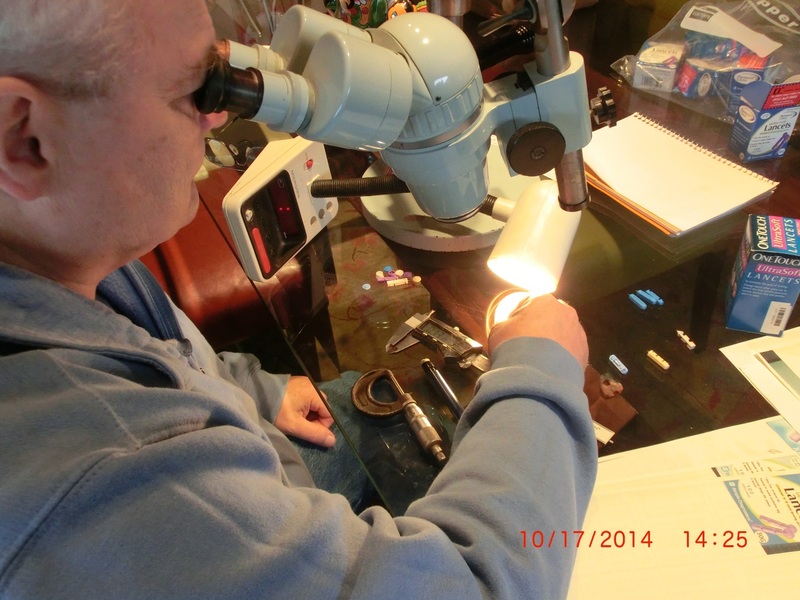 Thank you, Peter, for linking the listing of lancets on the Genteel site. I didn’t know about it, and was surprised that it is more complete. But I don’t understand why you don’t use your Genteel. Please explain! I quit using a lancet holder years ago and simply hold the lancet in my fingers, apply pressure enough to make a hole, and then withdraw the lancet. In this way I can better control the exact location of the poke as well as the depth of it. I would never go back to a lancet holder, since I can control so many more factors by manually poking myself. This method is also much less painful for me. What’s sad about this is that insurance companies don’t seem to consider it at all. Recently my insurance changed what device it will cover and I had to change everything. The new lancets either don’t draw blood or are painful. Turns out the switch was from a high-quality lancet to an “unacceptable” one (per the report on the Genteel website). It may be worth paying for some of the supplies out-of-pocket, but it’s all so expensive that way. It seems like a small detail for someone administering daily injections – but for such a repetitious necessity, this kind of benchmark test should have been performed a long time ago. Thanks for showing all the research. I’m sure standardization won’t happen until there is enough public demand for a specific lancet type (and marketing campaign of course). Shocking how bad some lancets are. Very informative article for a topic as simple as lancets. I can’t believe how much variation there is between them! This was sure an eye-opener for me too, Deborah!